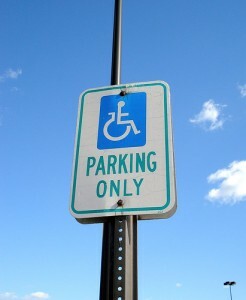 There is plenty of disabled parking in Nova Scotia and a car is the best way to get around. Travellers with mobility issues who want to visit Nova Scotia will need to plan their trip well. You’ll probably need to drive yourself around the province, either by bringing your own transport or renting a car. With the exception of hilly and bustling Halifax, parking in a level spot near your destination shouldn’t be too difficult. If you really don’t want to drive, Shuttle buses could be an option between cities but in general public transport is not well developed and accessing it is difficult with a disability. Taking a bus means climbing a few steep stairs to the seating area. The train is a better choice but there’s only one each day on a short route between Halifax and Amherst. Ferries shouldn’t present any problems as long as you have a way to get to the ferry port. For accommodation, chain hotels and hotels at the higher end of the price scale are most likely to have easy access. Rooms in a small hotel or Bed & Breakfast are often not suitable. Call to check before you book.